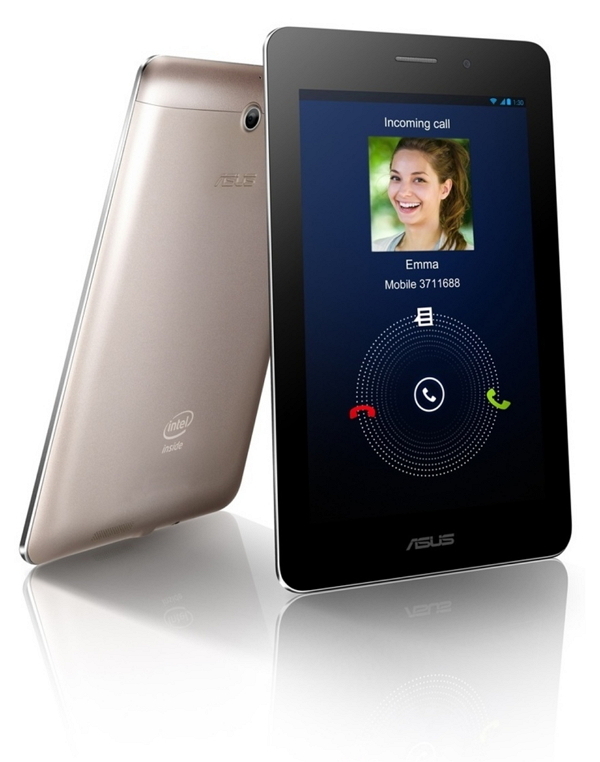 Asus launched Fonepad tablet in India for Rs 15,999, it comes with 3G voice calling feature. The tablet features 7-inch WXGA LED IPS display with resolution of 1280 x 800 pixels. It is powered by 1.2GHz Intel Atom processor Z2420 with 1GB of RAM and runs on Android 4.1 Jelly bean operating system. The tablet has 8 GB of internal storage space and users can expandable up to 32 GB using microSD card. And also users get 5GB of free lifetime storage space from Asus. It features 1.2-megapixel front facing camera for easy video chat and a 3-megapixel autofocus rear camera with 720p HD video recording. The device equipped with 4270 mAh bettery and connectivity it supports WiFi, Bluetooth, 3G, GPS and micro USB. The tablet will be available starting from April 30,2013.